Remember the Bourjois Colorissimo Lip Palettes I talked about in January? Oh my G, January?! Well, they are finally here in India..... and they brought some friends! Bourjois Colorissimo Lip Palettes ~ These have the same packaging as the Effect Smoky Eyes Trio Eyeshadows, and is accompanied with the same applicator too. I feel Bourjois could have made the colors better, coz 2 or 3 palettes look very similar to each other. Bourjois Effet 3D 8H Long Lasting Glosses ~ With Pomegranate Extract, hello! Only 4 shades were launched here- 11 Beige Mellow, 14 Rose Watery, 17 Grenade Juicy, 16 Prune Exquisite (in that order in pic above). Though I'm not a gloss gal, I couldn't resist the fabulous glossiness! My favorites- the middle 2. The 3rd red one is GORG! Bourjois Beauty Full Volume Mascara ~ This has got a big brush, very excited to try it! Fingers crossed. 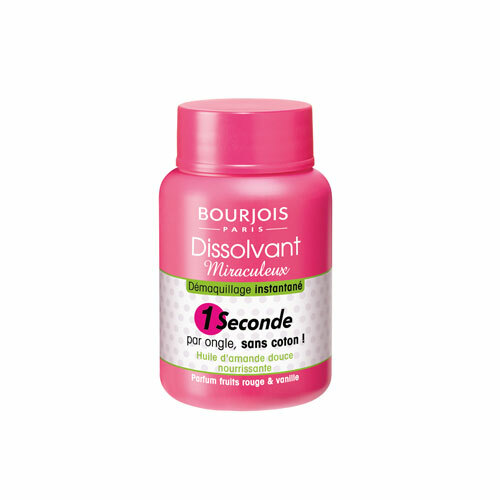 Bourjois Magic Nail Polish Remover, Rs.400-450 ~ No cotton needed! Just dip-twist-remove in 1 sec. Acetone-free, Paraben-free, Enriched wit Almond Oil, and has a Berry Vanilla Fragrance. 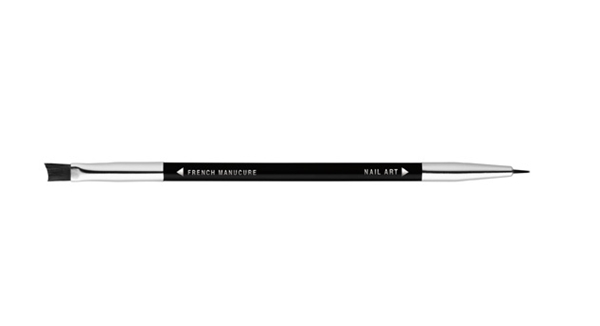 Bourjois Nail Art Brush, Rs.450 ~ A dual-ended nail brush. One side for french tips, and the other for fine designs & dotting. ...... and now the clock is ticking, I gotta take packing for England seriously. I know what you're thinking, but I just couldn't resist buying these.... and some MORE! That's a whole lot of launches but those lip palettes are so late!!! Been waiting and waiting. Hmmm and buying them would blast my wallet. Expensive much! Ya I was also disappointed with the price! the colors r very pretty. I got the Beautyfull volume mascara...its nice but it curls more than volumizing and its not their best mascara. They couldnt beat their Volume Glamour MAX and MAX Definition range. am eyeing these lip palettes for a long time..
Hey Cynthia, the colors in Colorissimo looks very similar but they are not that much when swatched together. I swatched all of them in my blog post. You can check them if you like All Colorissimo Swathes. Waiting for your review dear because I didn't liked the texture much. PS: Please start packing soon. I have started to be worry for u dear. Soooo much in 2 bags! Fingers crossed for u lady. All the palettes look alike! waiting for ur review to pick up something! They really do, right? Will post it soon! I just asked my friend to get this nail polish remover for me !!! It costs Rs.300-350 more in Dubai !!! Cosmetics are so expensive in Dubai !!!!!!! !